Many curious directors are budding with creative thoughts and prove their skills step by step. Short Films have become a perfect platform for these experiments. The message oriented and heart touching films have become rare. 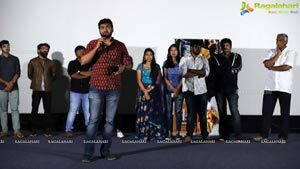 At this juncture, director Sai Kumar Thota came up with a message oriented short film named GIFT. The short film GIFT is all about the story of two journalists, who want to change the society’s perspective on how truth is portrayed. An incident took place that changes their lives but they believe that if they help to the other persons who are in the similar situations, their destiny will get them back their happiness which they have lost. The short film Gift succeeds in keeping the audience’s interest and satisfying them in the end. ‘The Gift’ is a short film that worth a watch. The performances are also top class. It’s always a joy to watch talented person on screen. The music is good and the Camera work is u pto the mark and selection of locations is the highlight. 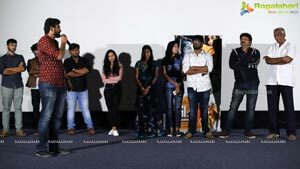 Creating a short film is not that easy with limited budget and duration to express within short time. 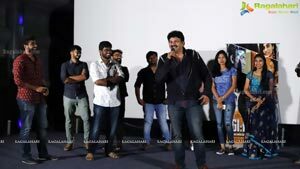 But director Sai Kumar Thota has succeeded to grab the audience's attention. 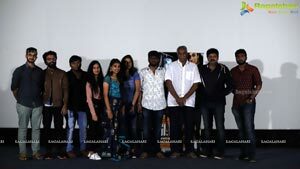 Short Film GIFT was screened at Prasad Lab. 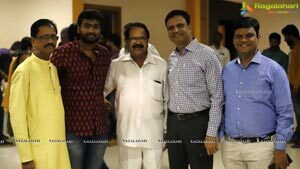 The Chief Guest Tammareddy Bharadwaj, Actor Sameer, and Producer Raj Kandukuri watched the movie. 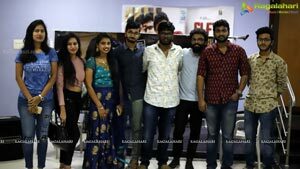 Director: Sai Kumar Thota; Producer : Rstar Entertainments; Starring: Rishi Pulla, Sameer, GV.Sandeep, Prathyusha,Lahari, Phani Kumar; Asst Directors : Sandeep Darapu , Raghavendra; Music: Bony David; Editor: Karthik Nandan.